Anushka Sharma made her debut with Rab Ne Bana Di Jodi in 2008. Since then there has been no looking back for the actress. The gorgeous actress has done some phenomenal roles in her acting career. Anushka who was last seen in Shah Rukh Khan starrer Zero, has not announced about her next project. This led to the speculations that Anushka may not continue to work in Bollywood. But her latest Instagram video proves, that she has no such plans. Ranveer Singh’s Wife Deepika Padukone Is in LOVE With Anushka Sharma’s Fashion Sense – See Pics. There are numerous speculations going on with regards to Anushka Sharma’s career. Anushka tied the knot with Virat Kohli in December 2017. There have been rumours that the actress might stop working in order to spend more time with the family. There were even rumours stating that she is intending to take a break from work as she is pregnant. It all started after Virat posted a tweet stating, “There’s a lot that’s happening right now. Fill you guys in real soon!”. However, the couple has not said anything about it yet. Anushka Sharma Has Literally Changed My Whole World, Says RCB Captain Virat Kohli; Watch Video. Though it looks more of an ad shoot, nothing can be confirmed. 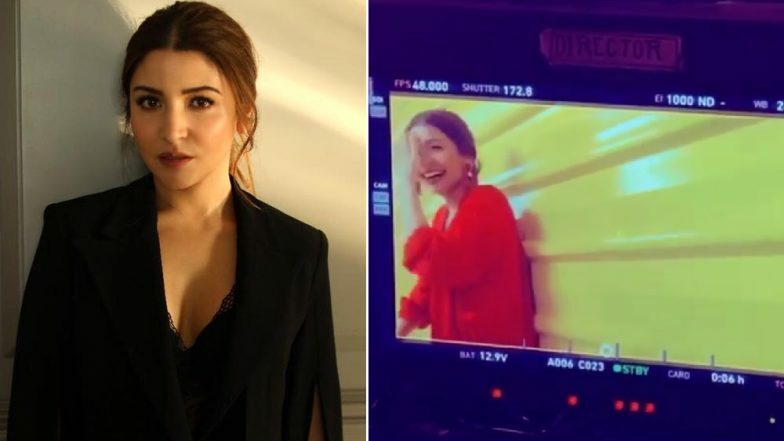 But this boomerang video only clears that Anushka Sharma has no plans to take any break from work. Anushka, we just can’t wait to see you back on the big screens!